We provide appraisals for primary and secondary mortgages, (PMI) removal, estate planning, and litigation support such as divorce, bankruptcy and foreclosures. ​We provide comprehensive valuation, advisory and consulting services for real estate owners, investors and lenders, to deliver industry-leading valuation reports and analysis. ​Appraisal Associates Company is a full service real estate appraisal firm, experienced in all phases of the valuation process. 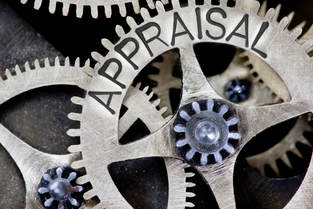 ​Since its founding in 1983, Appraisal Associates Company has provided the Midwest with accurate, confidential and timely residential and commercial appraisal valuations with the highest measure of professionalism. Based in Eastern Iowa, the firm provides services for a wide range of appraisal services. Learn more about Our Team. ​Keith Westercamp, the founder of Appraisal Associates, passed away suddenly February 20, 2020. Keith started the company in 1983 and worked hard to make it a leader in commercial and residential real estate appraising in the Midwest. Keith was dedicated to providing outstanding service to his clients and enjoyed using his vast expertise in real estate matters to help them move forward with professional and personal projects. ​Keith will be missed by Appraisal Associates staff and clients. His kindness and compassion set him apart from others, as did his appreciation for zippy sports cars. Keith’s son, Jonathan Westercamp, a long-time appraiser and Appraisal Associates staff member, will continue to run the business that his father started. ​Thank you for doing business with the Westercamp family and Appraisal Associates.